The following terms are intended as accepted by the purchaser in the ordering phase. 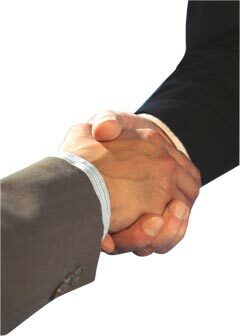 ORDERS: With the transmission of the order the purchaser approves all the sale terms in force. The article codes must be specified in the order. PRICES: prices are intended for goods delivered ex our warehouse (VAT, packaging and transportation excluded) and the prices in force when ordering will be considered as valid. PACKAGING: free of charge for accessories, at cost for pumps and pumpsets. SHIPMENT: shipment will be carried out via postal package or the customer’s courier of confidence; carriage will be paid to our factory in Beverate and the goods travel at the full risk of the customer. Therefore, in case of delay, losses, faults, thefts, etc., claims must be addressed to the Courier who is the only responsible. DELIVERY: if indicated, the date of delivery is purely indicative and, therefore, releases our company from any claim. CLAIMS: must be sent in written form within 8 days from receipt of the goods. Claims arriving after this deadline will not be accepted. RETURNS: Any replacement or rejection must be authorised with a return number. The authorisation number must be clearly stated on the delivery note. The return will be accepted prior verification in the warehouse and charged to the customer. Any crediting will be carried out at the purchase price. Any return of material due to a wrong order will be subject to a lump sum fee of € 25,00 for management expenses. PAYMENTS: must be made exclusively at our headquarters according to the methods agreed upon. In case of a delayed payment, legal interests will be charged starting from the agreed due date and until the payment has been made. During that time any other order in progress will be suspended. PRODUCT FEATURES: the images in this catalogue are purely indicative, therefore, our company has the right to modify the products without prior notice. VALUE OF ORDERS: Orders below € 150,00 will not be accepted. Any clause contained in the purchaser’s order in contrast to what stated above will be considered of no value.